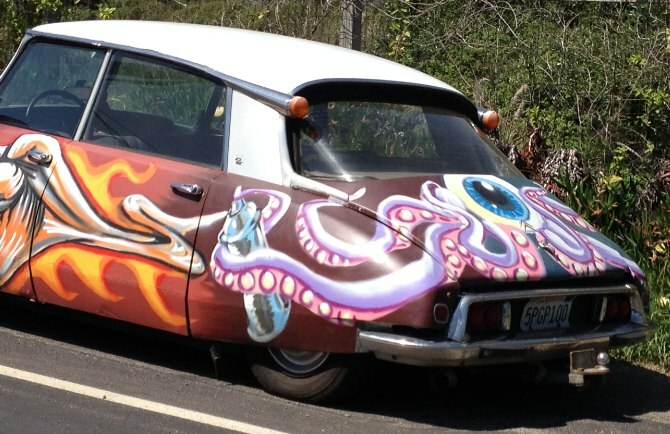 I’ve seen more painted cars here than in any other country. They’re weird, but rather fun. I haven’t yet worked out what the motivation is. 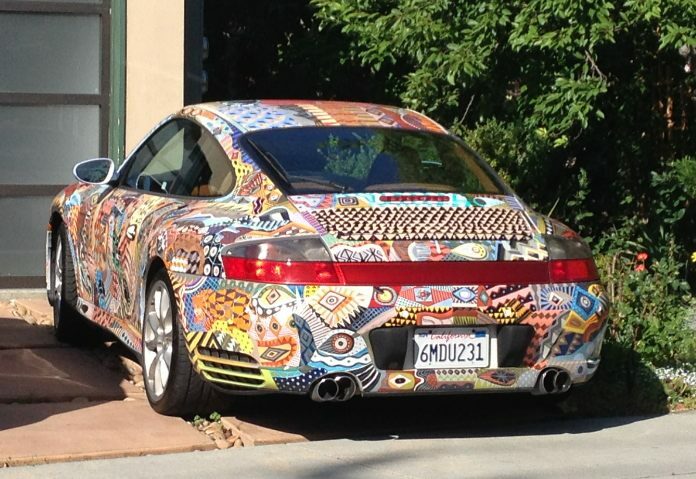 Yes, that’s a Porsche 911. 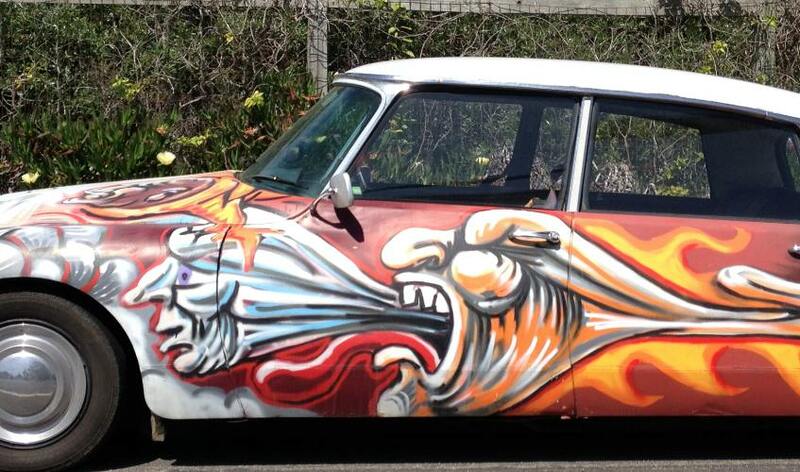 An odd choice of car to paint. 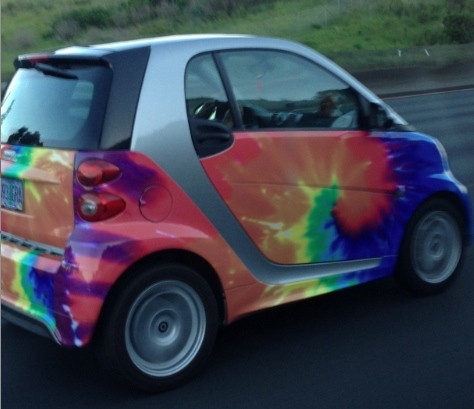 The driver of this Smart car was wearing a matching rainbow tie-dye T-shirt. … because with something this batty, there must be one. Fun/eye catching/attention grabbing/media interest/pulling power (when was it ever just about horse power!) – possibly motivated by all. Good survey subject. But would it catch on over here? I can’t believe it’s a cheap way of attracting attention. Is there a business case for doing it for fun?